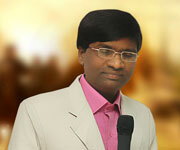 Pastor Moses Rajasekar, Man of God who himself is a living testimony. He was a good talented singer and a preacher. He was remembered around the world through this song "Appale po sattane ... Appale po sattane ..." and "Kirustavane disturb pannade, avane assaulta ennividate…". He formed a congregation with the blessing of God and constructed a church at Chennai which was opened by Brother. Mohan C. Lazarus. He was born on May 31, 1967 at the Hill place of Vervelli, Valparai, Coimbatore District in Tamilnadu, India to Mr. Moses and Mrs.Mariyammal. 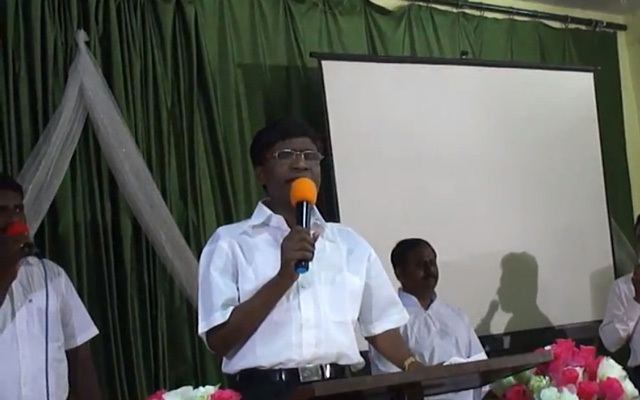 After completion of High School, he joined Sister Padma Mudaliar's Bible College at Chennai and completed theology. A few years after graduating from theology, left from his home to Chennai and began his missionary work in a hut at Virugambakkam and Nesapakkam in Chennai. During that time, he bought a place at Sulaippallam in Chennai for his ministry. He worshiped God at his tent besides he lived there. At the age of 19, he suffered diabetes and he successfully continued his ministry through his talent of singing song. He married Ruth Rajasekhar and has two daughters Priya and Pilomina Nakul and a son Kingsley Rajasekhar. He was remembered around the world through his songs. Small villagers and ordinary person were attracted by his songs. He published lot of songs to the Christian World.